Populism is, I suppose, a good thing. Typically a politics of self-representation for 'the people' as opposed to the elite, there is something intrinsically democratic about it. The problem of this populism at present is that it is going too far - shifting casually towards anti-intellectualism. The MPs expenses scandal has exposed a hidden truth about our political process, but was nonetheless blown out of proportion by the press, especially the Telegraph who, it could be said, have ulterior motives in denigrating all of the major parties, what with their sympathies with UKIP. The result of this has been a backlash against politicians - they are now treated as a having homogeneous pathology. "They're all as bad as each other" opens the door to a new generation of politics - the 'politics of the people'. The term 'career politician' is highly derogatory now; overlooking here the fact that being in the profession for a considerable time is sure to lend itself to expertise. The consensus seems to be developing that a good politician has to be one of the people and this is lending itself to UKIP, BNP and the beast of burden for Doncaster, the English Democrats. English Democrat mayor Peter Davies fought his campaign almost entirely upon populist policies - he cut his own salary to £30,000, asserted that he is a 'common sense' politician and emphasised transparency. This is all well and good, but obstructs the fact that his policies and ideology are illiberal, unintelligent and averse to substance. He proudly decried, for example, that he 'doesn't subscribe to that religion that we're all supposed to believe in these days' - this religion being the scientifically-backed truth that we are causing global warming. The growth of this populism is leading towards a 'Tall poppy syndrome' - Someone is said to be a target of tall poppy syndrome when his or her assumption of a higher economic, social, or political position is criticised as being presumptuous, attention seeking, or without merit. Alternatively, it is seen as a societal phenomenon in which people of genuine merit are criticised or resented because their talents or achievements elevate them above or distinguish them from their peers. Effectively, what could develop is a situation in which learning and social mobility, even one's interest in politics, could all become detrimental to an electoral candidates chances. Cutting salaries and expenses is part of the process - it will devalue the position of being an MP. In the same way that teaching became devalued as the entry standards dropped, less capable people will be more willing to stand for office. In the words of Morrissey, we hate it when our friends become successful...if we can destroy them, you bet your life we will destroy them. A member of a community, in order to represent his neighbours, would have to be as similar to them as possible. Any who get too big for their boots; who try too hard, work too hard, know to much or are too capable, will be frowned upon. 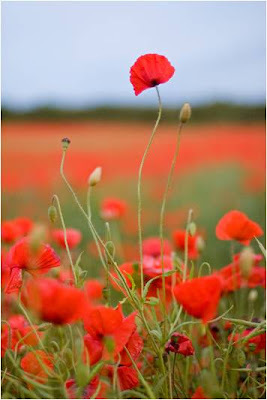 In effect, the tallest poppies will be decapitated in order that all the poppies are the same height. This move towards the democracy of populism should be watched carefully, to make sure it doesn't go too far. An interesting article, but I would point out that to some extent the reaction against career politicians is a good thing. By 'career politicians', I mean people who come straight out of university having been student union president or suchlike, enter into some other political job - researcher for an MP, thinktank wonk etc, ingratiate themselves with the party hierarchy, and then get parachuted into a safe seat in an area they don't really know while still relatively young. What are such people likely to know about the challenges of ordinary working people in an area that they have little knowledge of? The tendency to level down in the name of populism is potentially a problem, but a few more ordinary people without a political background in parliament would be a healthy thing, especially for Labour, seeing as how we are meant to be standing up for ordinary working people. I agree with you on principle, but it really depends on what else the non-career politician has been doing. In the case of teachers, community leaders, third sector, great. There aren't that many professions that do connect people with ordinary working people. I suppose my main fear is generated by the role the media has had recently in fuelling the beheading of the poppies - it seems to be xenophobes, bigots and those in favour of bring back the death penalty who are feeling most 'put out' at present, and an upsurge in anti-intellectualism is currently part of the 'common sense' agenda in the minor parties.